This week the #SundaySupper crew is sharing lightened up holiday dishes. This is a great, tasty substitute for coleslaw. And it's easy, too! I used red cabbage which has a slightly tougher texture but slightly sweeter flavor than its green counterpart. In a large flat-bottom pot, add all of the ingredients - except the salt, pepper, and red pepper flakes - to the pot. Stir to mix thoroughly. Cover and cook over medium heat, stirring frequently, until the cabbage is tender, approximately one hour. Add water - when needed - to prevent the cabbage from drying out. Season to taste with salt, pepper, and red pepper flakes. Spoon into serving bowl and serve warm. This is also nice served cold the next day. I love spiced red cabbage and your recipe sounds awesome. Red cabbage is one of my favorite side dishes. Your recipe is so unusual to me with the addition of fennel and dates. I'll have to try it. It sounds delicious! Somewhere we had the most delicious side dish of red cabbage. I wanted to recreate it but had forgotten about it until just now. Thanks! 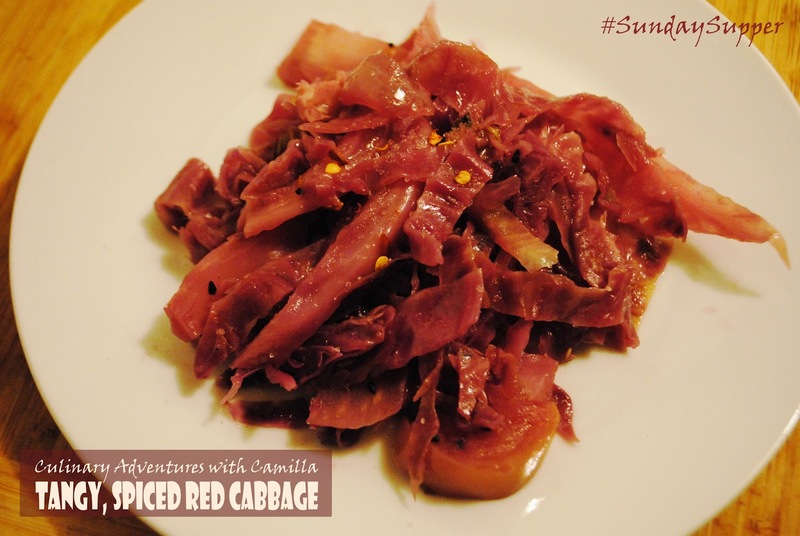 I love cooked cabbage, love it and your recipe looks so good!! Spiced cabbage is so good. Thanks for sharing. Ooh, my Russian husband would love this! This reminds me that I haven't made cabbage in a long time. Your recipe is so unusual, I need to give it a try!! I could live on veggies like these! Such delicious flavors and textures. Great cabbage recipe! I am always looking for new uses for cabbage. This sounds fantastic! I used to think cabbage was so gross, but now I love it. This sounds super tasty! I've never really had red cabbage as a side dish. Thanks for the recipe. Ooh I haven't made red cabbage in so long! I love that you put fennel in this recipe. It sounds so flavorful! Thanks for reminding me I need to enjoy some red cabbage soon!! 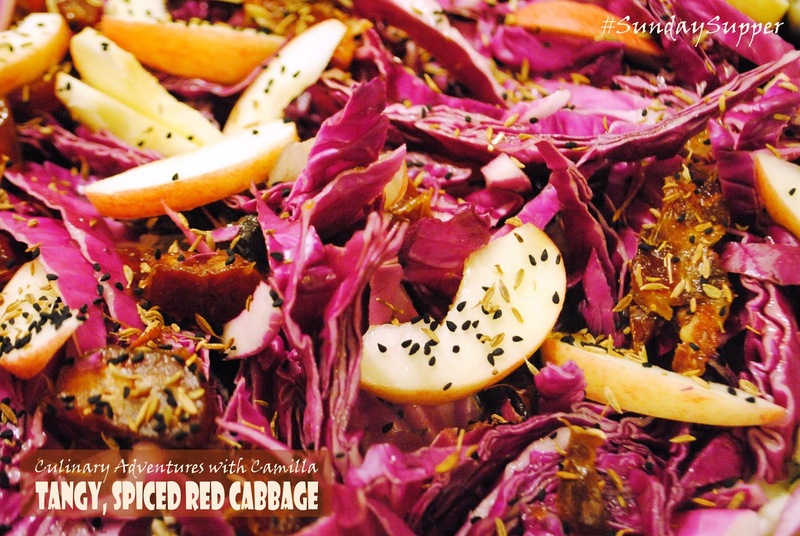 Mmmmm, I love red cabbage, cooked or raw, and I love that you added fennel! Very unique, I've never seen that before! I love red cabbage made this way. I've got to try it with these spices! Ooh, I might be able to get grandma eating this too!